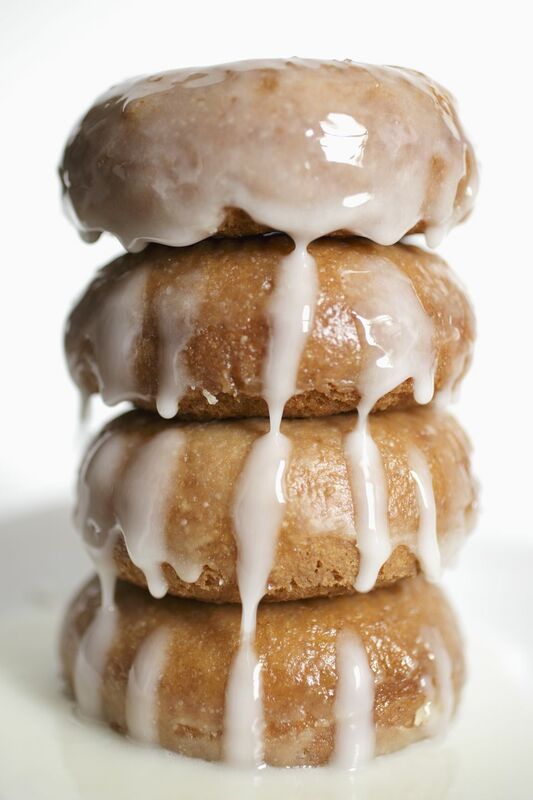 These cake-like buttermilk doughnuts are fried and topped with an optional vanilla sugar glaze. Recipe reprinted with permission from Sweet Surprises for the Holidays by Alisa D. Bangerter (Gingerbread Garden). Combine the buttermilk, eggs, and sugar. Set aside. Mix together flour, baking soda, baking powder, salt, nutmeg, and cinnamon. Add the buttermilk mixture to the dry ingredients and stir. Stir in the melted butter or shortening and knead until soft dough forms. Roll out dough on a lightly floured surface to an approximately 1/4-inch thickness (roll thin for best results). Cut with a 2-1/2-inch or larger doughnut cutter. In a deep-fat fryer or electric skillet, heat oil to 375 degrees F. Fry the doughnuts on each side for approximately 1 min. or until golden brown. Drain on paper towels. Dip in a powdered sugar glaze while hot and decorate with or candy sprinkles if desired.